Dice games, dice rolling, dice, dice and more dice for the Bunco enthusiasts. 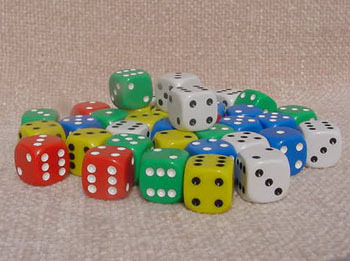 Red dice, blue dice, yellow dice, green dice, or white dice all for rolling Bunco. Bright quality 5/8" with square shape and indented dots.